Two-time WBC super flyweight champion Srisaket Sor Rungvisai 45-4-1 (40) is planning a homecoming fight in October when he makes a voluntary title defence against an opponent to be named on the “One Championship: Kingdom of Heroes” card in October at the Muang Thani Arena in Bangkok, Thailand. It will be Srisaket’s first fight at home since he defeated compatriot Oley Taladklangadsawai by TKO4 in Nonthaburi nineteen months ago. The 31-year-old southpaw spoke to The Nation of his pride at bringing a world title fight back home to Thailand. “I’m very excited at the opportunity to defend my crown at home for the first time in two years,” said Srisaket, who defended his title against RING magazine and Boxrec.com number one contender Juan Francisco Estrada of Mexico at the Forum in Inglewood, California in February. Srisaket’s promoter Thainchai Pisitwuttinan of Nakhonloung Promnotion is seeking a viable challenger for the championship, preferably from Asia or Latin America. 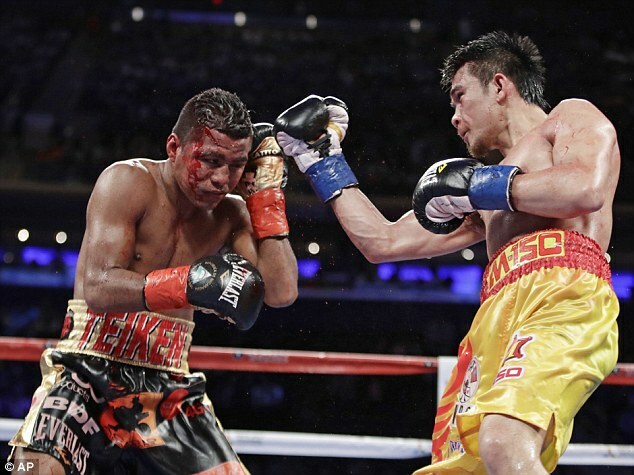 Srisaket became a global name when defeated Roman “Chocolatito” Gonzalez 46-2 (38) for the WBC super flyweight championship by majority decision in March last year. At the time the 31-year-old Nicaraguan was widely regarded as the number one boxer pound-for-pound on the planet. The following September Srisaket proved it wasn’t a fluke, knocking out Gonzalez in four one-sided rounds to retain the title. Srisaket, who started his pro career with a record of 1-3-1, is undefeated in his last 18 bouts including 15 by knockout. The last boxer to beat him was Carlos Cuadras 36-3-1 (27) who annexed his WBC super flyweight title by eight round technical decision in Mexico four years ago. The “One Championship: Kingdom of Heroes” card is scheduled to take place on October 6.